Instead of a conclusion we end this article on a selection of the less fortunate phones that were released this year. Some of the entries here are a textbook case of all that could go wrong. Others are great gadgets overall that just could've been - you know - a bit better. We're not implying that getting one of them for Christmas means you've been a naughty boy or girl. We've just given you tips for a possible thank you note to Santa. Nokia 5250: Dear Santa, I know it's cheap. But does really EVERYONE else need to know? Anyway, non-consumer Christmas rocks. Motorola CHARM: Dear Santa, are you kidding me? No? Oh… So CHARM it is, after all? Sorry, my bad. Sony Ericsson XPERIA X10 mini pro: Dear Santa, thank you for the mockup you sent me - absolutely love it! You can go ahead and tell the elves to start working on the full-size. LG GM360 Viewty Snap: Hey, Santa, that camcorder optic-all zoom feature is really cool. Could you please send a phone that can actually use it? Maybe one that records video, where you can tell a person from a bus. HTC Smart: Dear Santa, there's been a mistake, I'm afraid. This was supposed to be a smartphone, right? 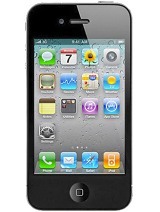 Apple iPhone 4: Now, this one will wet your pants. You'll be thrilled and wowed. You'll be in no mood for letters. You'll want to call the old man right away and tell him you love him. Just don't despair if your signal it's not at its best at this moment. And don't be a Scrooge, get yourself a bumper, will you? -Hello? Santa? …Santa? Hello? Can you hear me?... Click.